If we have a look at our ancestors, their activities were a lot more physical than what we’ve been doing lately. I am not talking about the time we had to hunt for food. I am talking about the time when TV didn’t have a remote control, when stairs were far more common than lifts and escalators. The time when we didn’t have the option to shop online. All that technology is just making us more and more sedentary. We spend most of our days looking at a screen: mobile phones, tablets, computer, etc. The term iHunched has been used to describe this new posture we are adopting when using all this new technology for many hours every day. 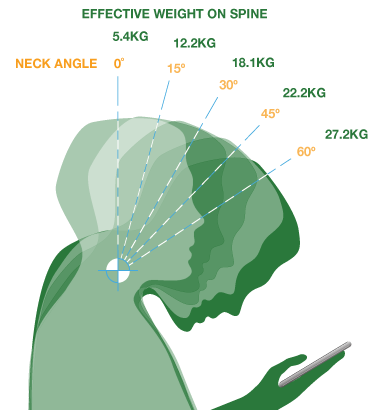 Our head weighs more if in a forward position and creates far more stress on muscles, tendons, ligaments and nerves. 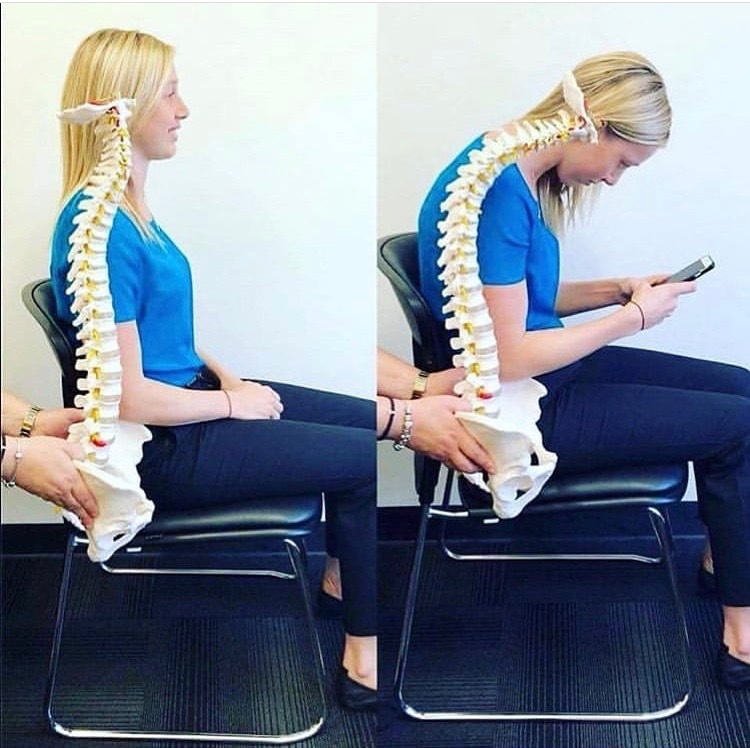 With that, our entire spine has to adapt to that new neck positioning creating a line of tension that can run through the head, arms, lower back, legs, diaphragm and even eye muscles. However, there is only so much we can adapt without feeling pain and causing injuries. Technology is there, and we certainly won’t stop using it. However, we need to be smart enough to use in our favour. Perfect posture is a myth, but good posture still matters! Only GPR does it for you!